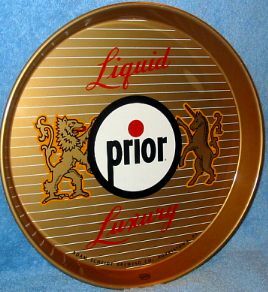 Prior Liquid Luxury beer tray. 12 inch round. Late 40’s or early 50’s vintage. Really nice example. If you look at the photo, you can see a small lighter colored oval mark between the word “Liquid” and the unicorn. That mark is on the tray, but only noticable at some angles.